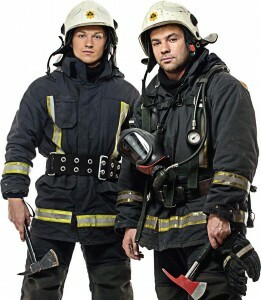 Home→Guest Column→Reality check Are you a firefighter or an employee? ← INDUSTRIAL OPPORTUNITY PARTNERS INVESTS IN MONROE TRUCK EQUIPMENT, INC. 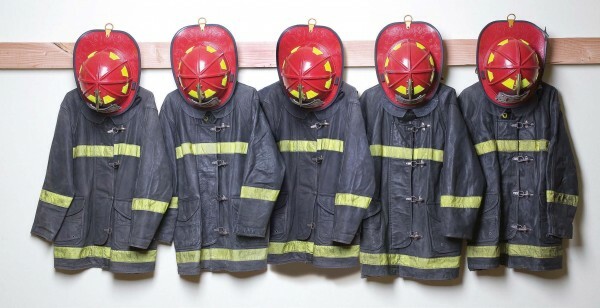 Reality check Are you a firefighter or an employee? The United States is protected every day on the homefront by first responders. When an incident happens, firefighters are the largest number of responders who answer the call. From fires to medical runs, large incidents, hazardous materials incidents, etc., the fire service can put personnel on scene quickly and in large numbers. The country has become very dependent on the fire service, because when it needs help, the fire department can be called. Members of the public expect the best when they call 911. Why shouldn’t they? They pay their taxes, fees, etc., and expect quality service. In turn, the fire service should always strive to give them the best. Those are not just words when you have a child trapped in a raging house fire or a person trapped in a severely damaged vehicle. Those firefighters who are responding have to bring their “A” game. They must always train and realize that they can be better at their jobs than they already are. Courage and dedication are the foundation, and it’s driven by passion to be the best at our jobs. No one wants to fail, especially when lives and property are on the line. In order for a person to be a well-trained and disciplined firefighter, he or she must realize that this is the profession for them. The fire service is open to anyone to apply, but one must remember that this job is not for everyone. Not everyone has the ability to perform under the pressures on the body, mind and emotions. That is why fire departments should have a strict hiring process that will show the best candidates for the job. The process should challenge them on physical fitness, character, their background, their ability to follow orders, their ability to work as a team and psychologically. Not everyone can be a firefighter, and that is how it should be viewed. If that person is fortunate enough to be accepted, then he or she should start the building blocks to become great at their job. This training should be taken seriously because it may save someone’s life — even their own. Of course, we are all employees who earn wages and benefits. We work to pay our mortgages, vehicle payments, loans, etc. We work for those extra benefits that are needed to keep our families healthy and safe. But the employee that I am talking about is branded by this name, because in the eyes of real firefighters, he or she does not deserve the title of firefighter. It creates a “riff” between those who work hard on the job and those who work hard to do less. Firefighters do not want to work with “employees” because it makes their job harder. It can create turmoil in the firehouse because of the two types butting heads. The firefighter wants to make a difference every day and serve the public. He wants to be on his game and always have a solution to a bad situation. The “employee” couldn’t care less if he makes a run. “Employees” generally are preoccupied with something outside of the fire department. Their training is lacking and it really shows on incident scenes. Just ask any real firefighter who the employees are, and they can easily point them out. Now one could point fingers at the fire service and say, “How is this possible?” Well, if you look at all jobs, the same attitudes are present. There are countless numbers of persons who perform to the highest degree in their jobs — going above and beyond, training, learning and taking great pride overall. This can be seen in all areas of municipal works. There are the persons who are real go-getters and exceed what their employer expects. We all want these persons as a part of our organizations. We want them to work for us and to work with us. But on the other side of the fence is the employee who shows very little care for his work output. He or she only wants the pay that is due. They do not care for the common goal of the organization and have no interest in being good at their job or their work. They may seem disgruntled and complain constantly. They are messy and do not take care of their work areas or the equipment that is assigned to them for a task. We all cringe when we see the “employee” show up for work because it is going to be a long day. Firefighters want to be best at the job and work within a team. They want to succeed at all they do, because they have trained hard and have passion for what they do. It takes a truly special individual to put themselves in harm’s way for the greater good of the community, sometimes making the ultimate sacrifice. “Employees” want to do less for more. The attitude is not one to be proud of when working in any line of work. They just don’t get it. We all have been around this type of person. No matter what job one has in the municipal sector, you should strive to be the best at what you do. In the fire service, we want more firefighters and less employees, because that is what is needed for the protection of the public. So strive to be the best at what you do: learn, apply, evaluate yourself, adjust and put pride in it. America needs more people to do this and bring back pride in the workplace and service community. Your community, your employer, the people you work with and you, yourself, deserve the best. Don’t become an employee. Capt. Ashley has been with the Lexington, Ky., Fire Department for 21 years. He is assigned to Ladder Company 1 downtown. He travels nationwide speaking and teaching firefighting. He is a Kentucky State Fire Instructor and teaches hazardous materials technician courses for OAI Inc., out of Chicago.